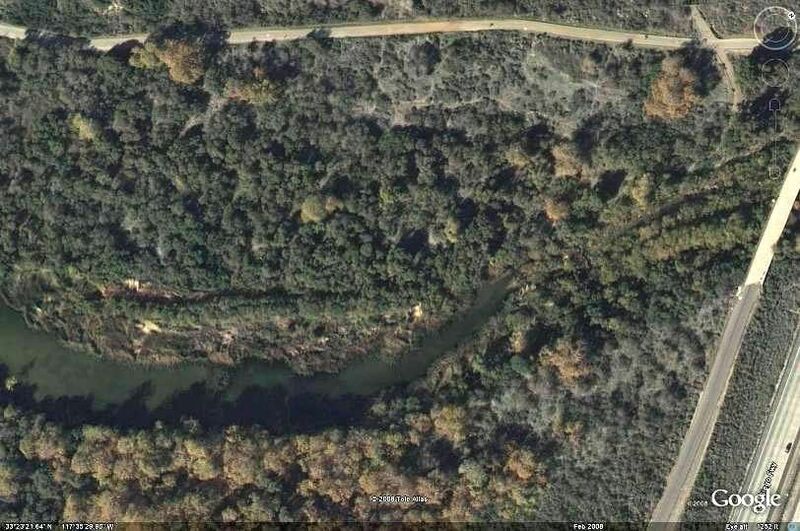 Tim Elsner figured it out — It’s the San Mateo Creek Conservancy! They’re the ones doing all the habitat restoration along the trail between I5 and the beach. The eucalyptus trees near the freeway were deemed to be non-native and were cut down. The homeless camps at the bottom of the slope have been cleaned out. All the old castor bean plants and wild anise have been replaced with new native shrubs. The plan was laid out by the Conservancy. I’m guessing they probably got some funding through the California Coastal Conservancy, though I don’t know that for a fact. The work is being contracted by the environmental arm of the California Park Service. The replacement plants are being grown by Tree of Life nursery, one of the first native plant nurseries. They’re just up the Ortega in San Juan Capistrano. Having been involved in wetlands restoration, I know how much these grass roots (excuse the pun) efforts are really labors of love. They depend on the personal dedication of those individuals who work many times quietly in the background saving our limited pristine areas and restoring them. Well done San Mateo Creek Conservancy! Without getting political, whether you are a conservative Boy Scout or a “flaming environmentalist,” you can appreciate the natural outdoors and the value they bring to our lives. As surfers, we depend on nature to bring us what we appreciate most — surf. So, we can probably all embrace the current restoration efforts just up the trail from our favorite break. Cheers to the natives (plants that is)!